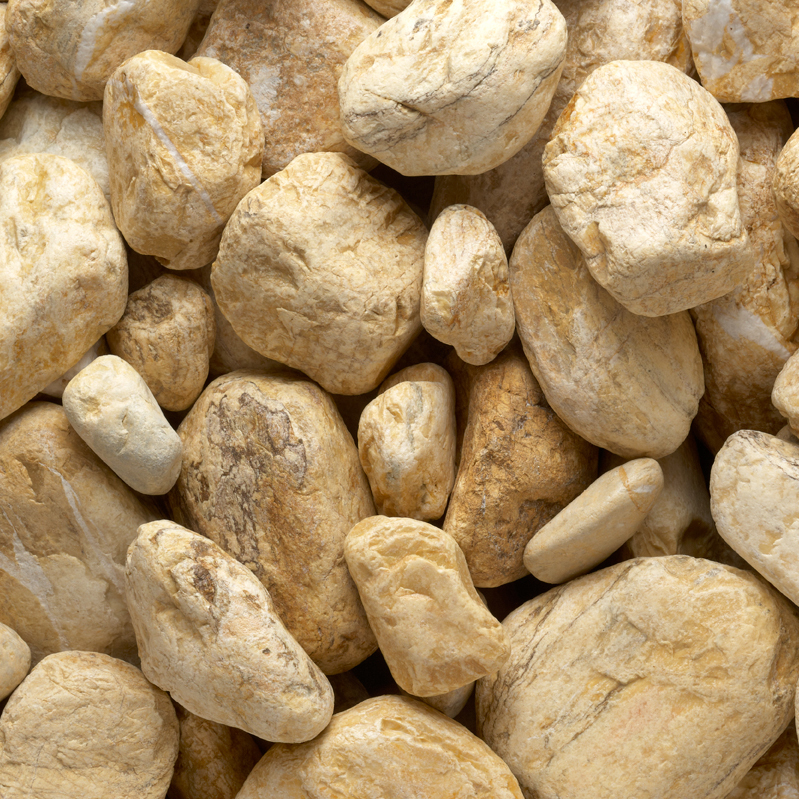 These new natural decorative stones are very different in terms of texture, color, shape, size. Pebble Desert Yellow are marble stones with rounded edges, yellow in color with white, creamy and black (fewer) discrete veins. 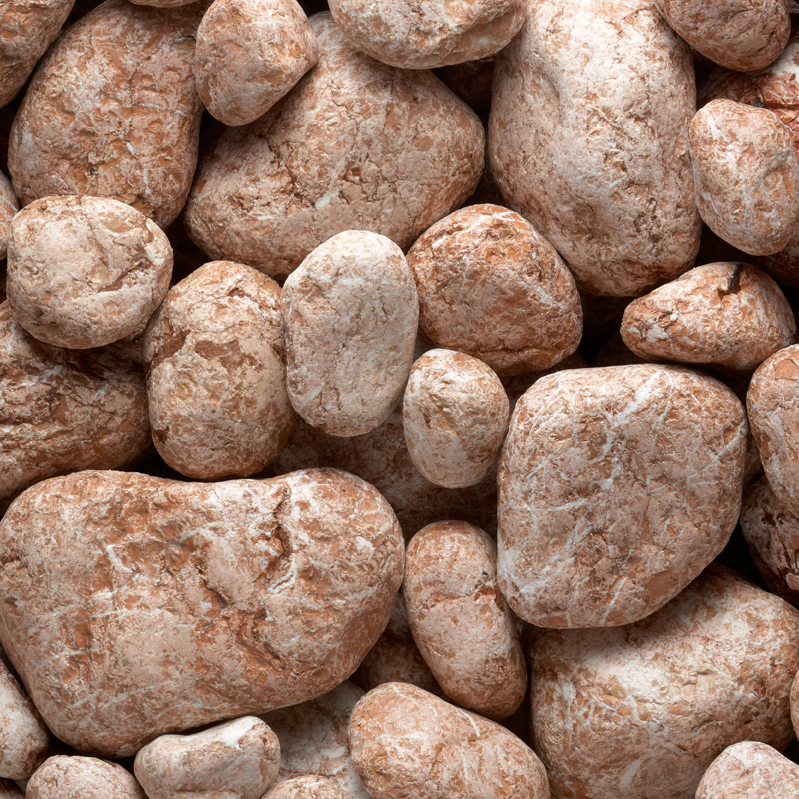 If you prefer reddish color, you can try Mediterraneo Marble Pebble. 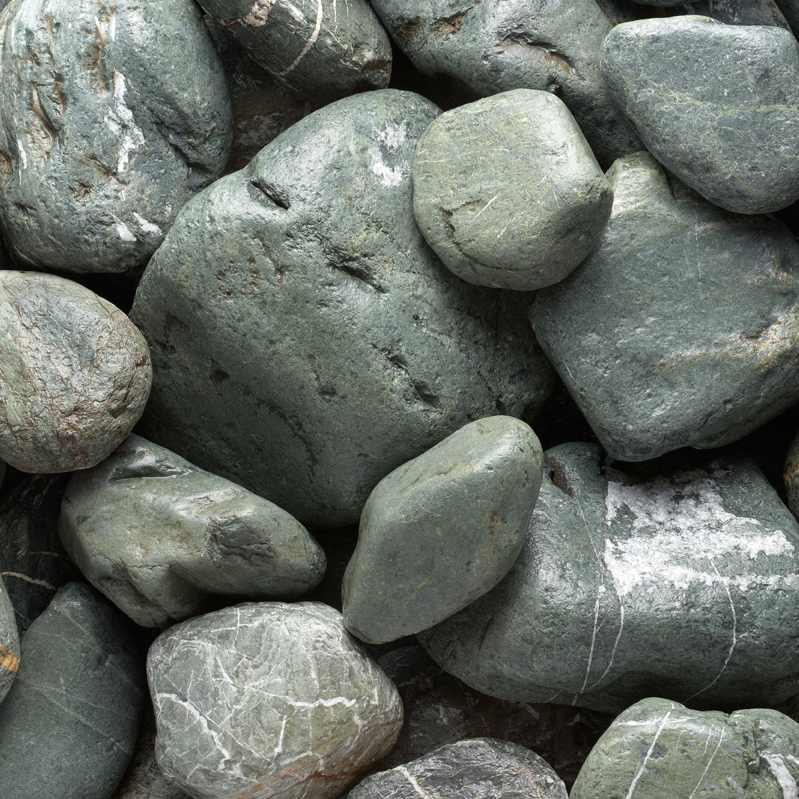 We also have green: the pebble version of Mediterraneo Marble. Perhaps people are looking for stones of a pale burgundy, with little sparkling / white stripes, in this case the Bordo marble stones can be exactly what they need. The specific and attractive pigmentation of granite is also present in the new PIATRAONLINE product range. 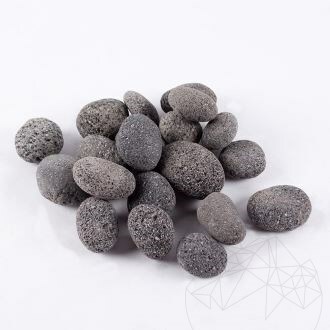 Under the name of "Granit Rock Star Gray Discus Pebble", we discover stones with small, black and white spots combined with a very homogeneous blend that have more rounded and smooth edges than those above. 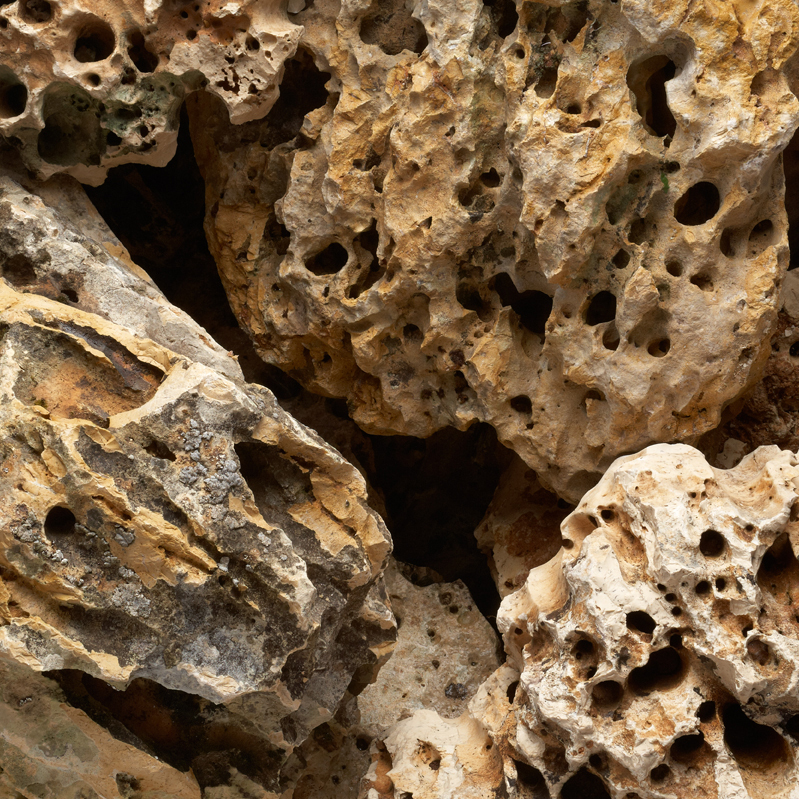 Moonstone Decorative Garden Stone has deep and small holes, some still reaching up to 2 cm in diameter, which seem to cross the rock as a sort of micro tubular network, which makes it look very organic. 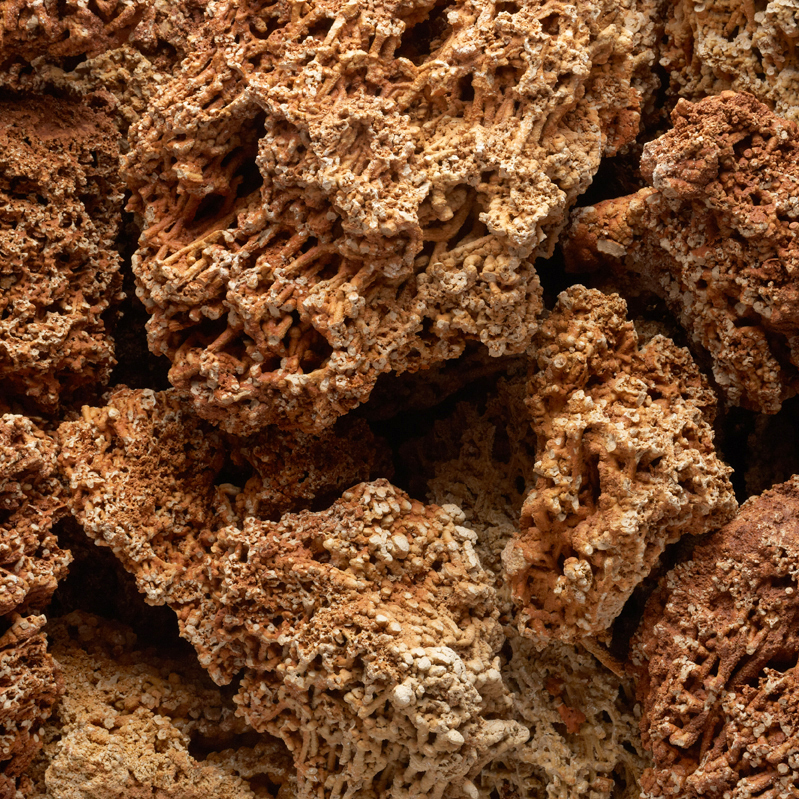 Also organic, yet even more strange, is the Spaghetti Decorative Garden Stone. One does not instantly understand what's strange about this limestone with cream and brick-red shades. It's all about its internal structure that looks like a mass of hardened spaghetti. In front of such a detail seen up-close it's impossible not to think about the giant temperature and pressure that these rocks now called "Spaghetti" have ... "boiled" in the long and old processes in the depths of the earth. 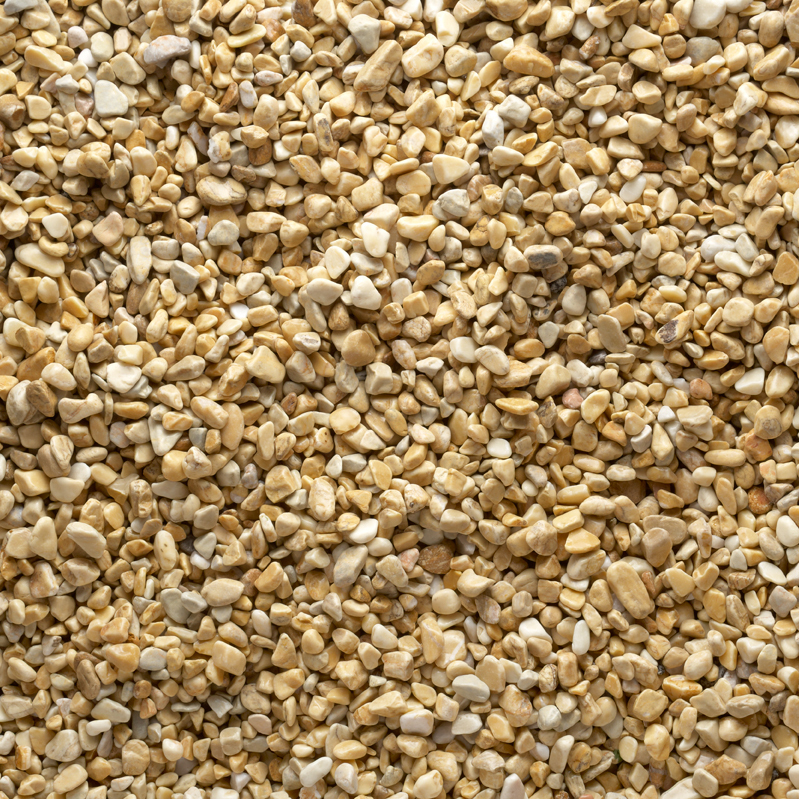 Pebble Desert Yellow (10-30 cm lengths approximate) is a small stone product that together with Pebble Desert Yellow can make interesting games based on different sizes yet similar colors. This yellow can come in perfect combination with green vegetation and a travertine-like house in Mediterranean or rustic style. Very important! We have to mention here the return, after a short period of absence, of the decorative stones from Rainbow sandstone. They have been and continue to be among the "stars" of backyard and garden products. The cream color combined with rust, brown, and white veins, often in parallel lines, make from each stone a show itself, an object whose beauty almost does not even need decoration to impress. All these new products can work in different ways. 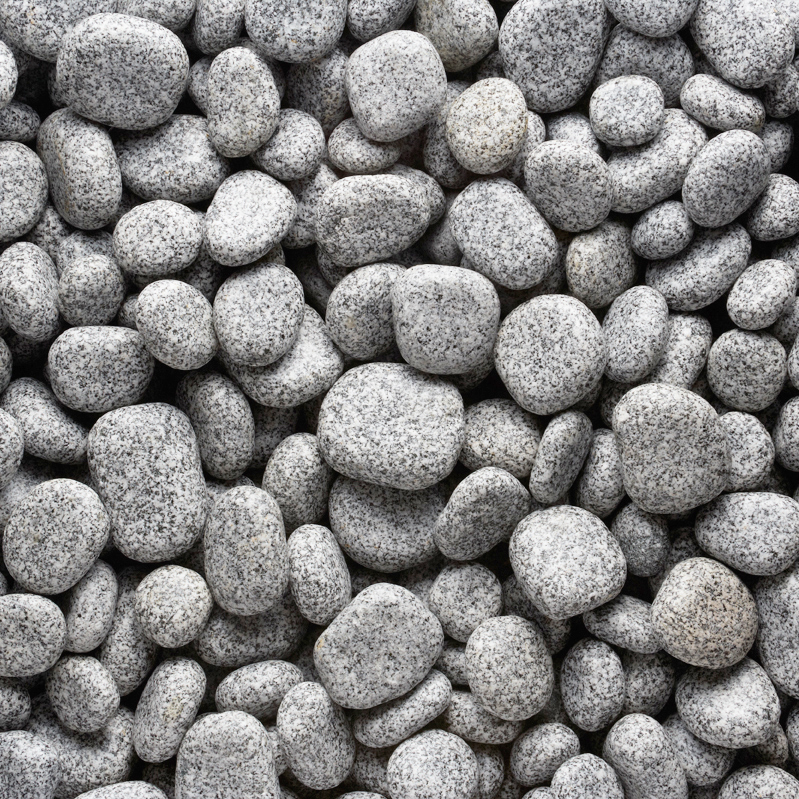 From pebbles we can make functional alleys or spaces with a decorative purpose on small or big surfaces, along with flowers or shrubs. Equally well, from pebbles we can make a framing around of a yard table (so they also have a protective role for the lawn!). Even fences can be made of decorative stones when the metal frames are filled with pebbles (gabions). 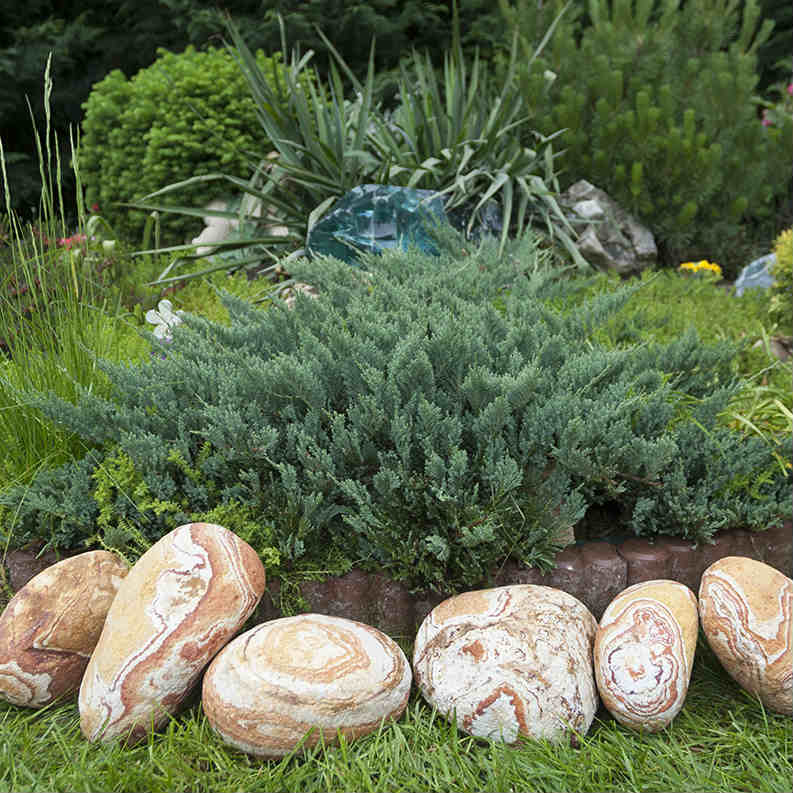 Decorative garden stones bring in every backyard or garden the wild breath of nature. Perhaps all of the garden decorative stones, they impress the most by their raw, natural look. Thus, it is enough to place some rocks next to a bush of flowers or some shrubs lay and everything will change in a pleasant and surprising way. 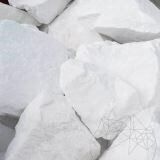 Decorative garden stones or pebbles, new or existing products in the PIATRAONLINE portfolio, all offer garden landscaping solutions, solutions with extraordinary simplicity in which 90% of the effect is due to the fact of being stones. Natural stones that fit perfectly with the atmosphere of a backyard, in which you can have fun with family and friends. For further details on decorative garden stones and backyard, please get in touch with us by phone: +40318.222.333 or email at export@piatraonline.com.